Can infestation with parasitic worms reduce inflammatory bowel disease symptoms? In the episode "Teamwork" they cured a patient of his parasitic worm infestation, only to discover he got sicker. Eventually they decided the worms were helping to blunt autoimmune attacks that were eating away at his gut. So they re-infected him with worms. It may not be standard practice in the United States, but helminthic therapy as it's called is being examined in medical trials. Some researchers hypothesize that our bodies, including our immune systems, evolved over the eons to coexist with parasites and that by altering the ancient relationship we have caused new problems. “Diseases like inflammatory bowel disease used to affect 1 in 10,000 people; it’s now becoming 1 in every 200 to 250 people. Something’s causing it, and it’s environmental,” Joel Weinstock, M.D., is quoted as saying on a Web page about his research at Tufts-New England Medical Center in Boston, Massachusetts. To browse clinical trials that are testing the effects of parasitic worms on human health, go to www.clinicaltrials.gov and enter “helminth” in the search window. Note: some of the trials listed will be those that give people worm eggs, while others will be experimental treatments meant to kill parasitic worms. House Teaches Ethics to Med Students. 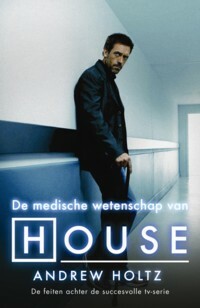 House?! Now How Will We Know What Dr. House Has Done? What Do Doctors Think of House? As Seen on House vs. the Reality of "Death Cats"
Oh, Just Watching the F****** Show! House is Just a Show, Right?